Urban air quality has become an international talking point and many local authorities are looking at the introduction of low emission zones (LEZs) as a possible solution for cleaner and healthier Cities. Creating a LEZ does require a mixture of measures, from improving public transportation to encouraging e-mobility, from establishing charging zones to rerouting traffic away from sensitive sites such as schools and hospitals. 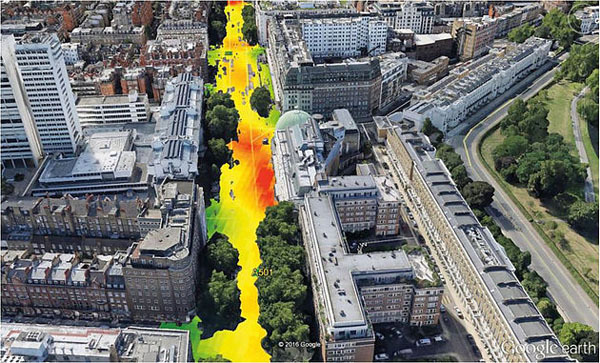 Traffic monitoring and parking management systems are essential to define an integrated and effective strategy, and smart technologies can play a significant role in achieving green targets – e.g. relieve congestion by regulating traffic lights according to air pollution levels, or direct drivers to the neareast available parking without idle itineraries.